Signed into law on May 12, 1933, the Federal Emergency Relief Administration (FERA) was a New Deal government-spending program established to give direct cash assistance to the impoverished. Different from work relief agencies such as the National Recovery Administration and the Public Works Administration, which created jobs for the unemployed, FERA offered only short-term subsistence support. FERA’s poor design coupled with its low per capita grants failed to assuage the effects of the Great Depression in North Carolina. Remembered as the "Businessman’s Governor," Angus W. McLean implemented sensible fiscal and economic policies during his 1925-1929 term as North Carolina governor. Born into a farming family in Robeson County, McLean was trained as a lawyer by the University of North Carolina. Upon graduating, McLean served North Carolina as an auspicious lawyer, mill-owner, banker, and public servant. In 1925, McLean took the office of governor and streamlined the state’s fiscal management, invested heavily in education and infrastructure, and amassed a surplus of $2.5 million to help North Carolina through the Depression. Established by the National Industrial Recovery Act in 1933, the National Recovery Administration (NRA) was one of two early New Deal programs intended to revive U.S. industry after years of contraction. While designed to stabilize commerce, the NRA was unsuccessful, particularly in North Carolina, where it exerted baneful economic and sociological effects. O. Max Gardner served as governor of North Carolina from 1929 to 1933, but more importantly, his political organization dominated state politics from the 1920s to the 1940s. As a result, Gardner and his allies controlled the Democratic Party when it dominated the state and the South. Although initially he endorsed publicly the New Deal, Gardner privately criticized some New Deal programs. By the late 1930s, as the New Deal became more pro-labor and anti-business, Gardner privately opposed it and fought to prevent the implementation of Roosevelt’s “court-packing scheme” and supported New Deal opponents during the 1938 election. John C. B. Ehringhaus served as a Democratic governor in the most important era’s in the state’s history since Reconstruction—the Great Depression and New Deal. Ehringhaus intended to maintain the conservative, pro-business policies of his predecessor, O. Max. Gardner, yet like other conservative Democrats in the state, he supported President Franklin Delano Roosevelt, who was very popular, and favored some New Deal policies–ones that did not threaten the fiscal conservatism of state government. Overall, Ehringhaus limited the impact of the New Deal in the state. The administration of Clyde R. Hoey as governor from 1937 to 1941 reaffirmed conservative rule in the state and also the power of the "Shelby dynasty," the label given to the political organization of former governor Max Gardner, Hoey’s brother-in-law and fellow resident of Shelby. Officially dedicated in 1940, the Great Smoky Mountains National Park rests on the border between Tennessee and North Carolina. As the federal government began to designate national parks in the 1870s, concerned citizens started to suggest a park on the Great Smoky Mountain range. After years of raising funds and acquiring land plots of the mountain range, Congress authorized the park in 1934. Today, over nine million tourists visit the park annually. 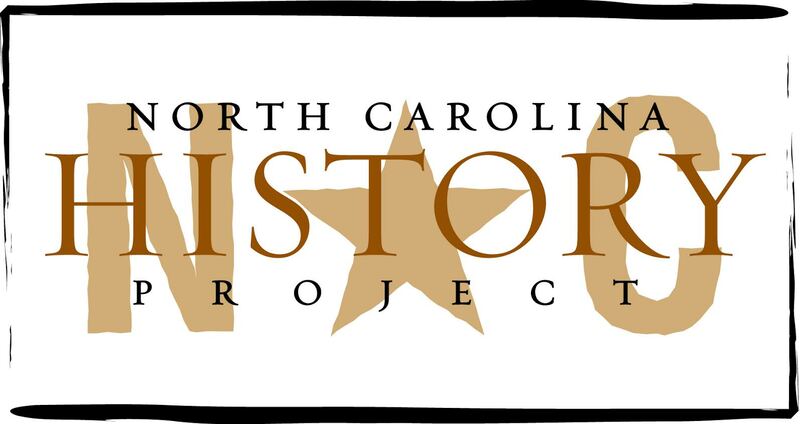 Federal programs to fight the Great Depression brought almost $440 million by 1938 to North Carolina. Conservative Democrats who had fought the reforms in the state, nonetheless, eagerly accepted the largesse from Washington, D.C. The most important New Deal program in the state was the Agricultural Adjustment Administration (AAA), which essentially paid farmers a modest amount to grow less tobacco, the state’s largest crop, as well as controlling other crops.